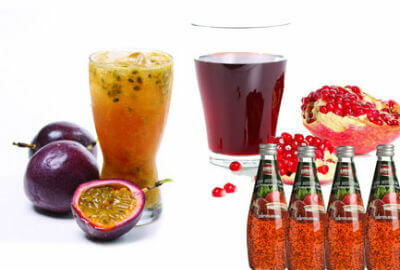 Suitable for processing of passion fruit, guava to produce clear juice, turbid juice, juice concentrate, etc. This production line is mainly composed of cleaning machine, sorting machine, elevator, peeling crushing machine, belt press, enzymolysis system, horizontal decanter, homogenizer, degasser, sterilization machine, filling machine equipment, etc. This production line design features advanced design idea, high degree of automation; Main equipments are all made of high quality food grade stainless steel, accords with the hygienic requirements of food processing. 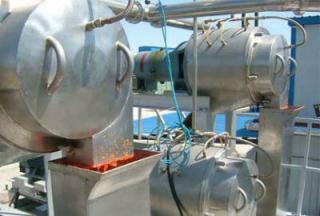 * Capacity varies from 3tons/day to 1000tons/day. 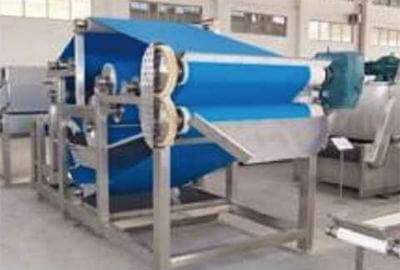 * Belt press type to yield juice without damaging seed at a high rate. * Material contact part of the whole system is 304 stainless steel material, fully meets the food hygiene safety requirements.